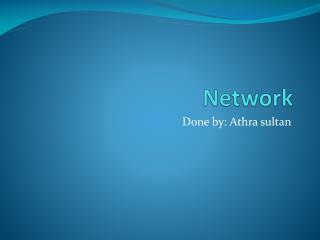 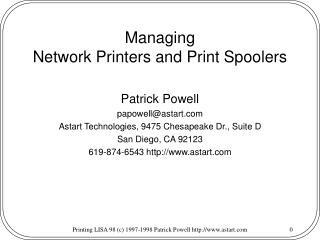 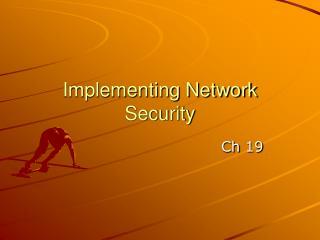 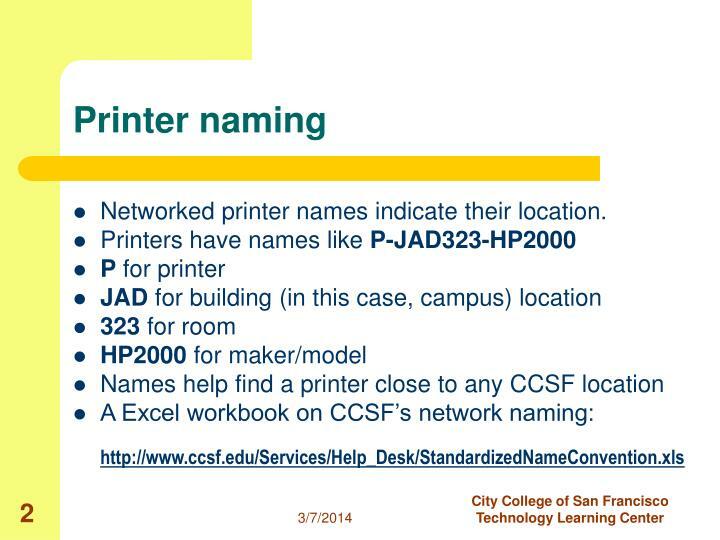 Networked printer names indicate their location. 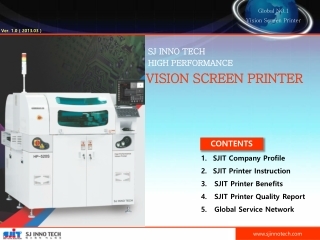 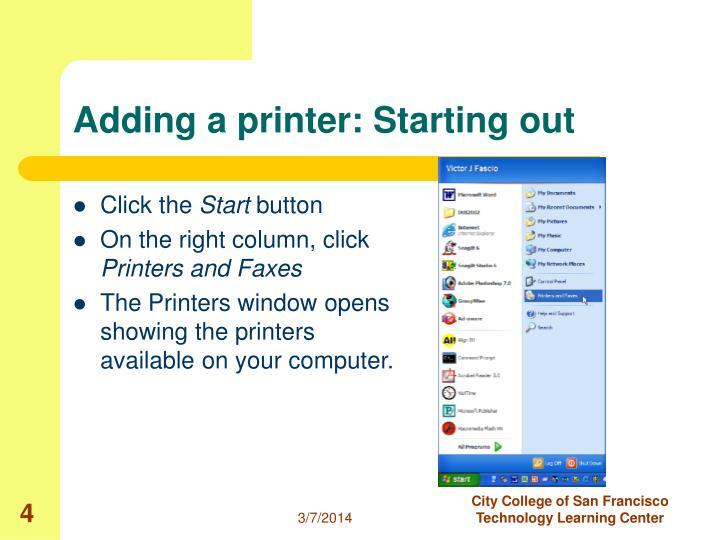 The Printers window opens showing the printers available on your computer. 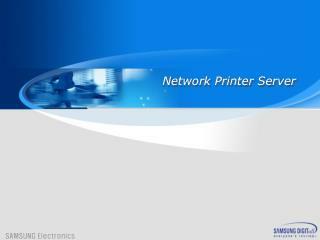 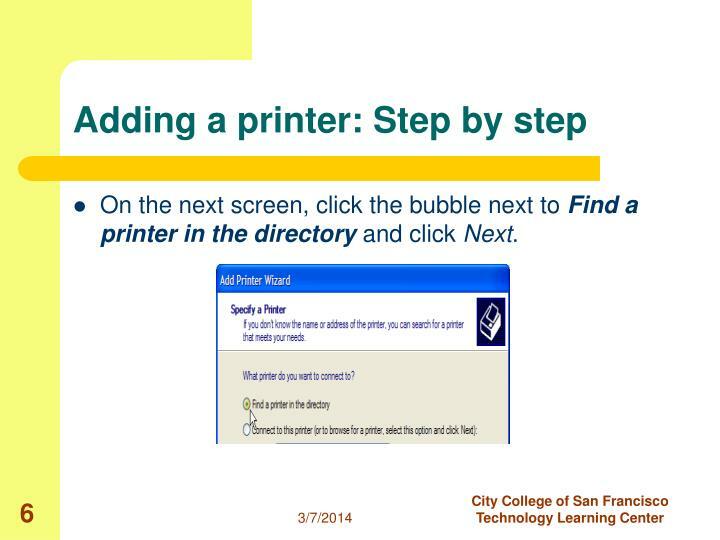 On the next screen, click the bubble next to Find a printer in the directory and click Next. 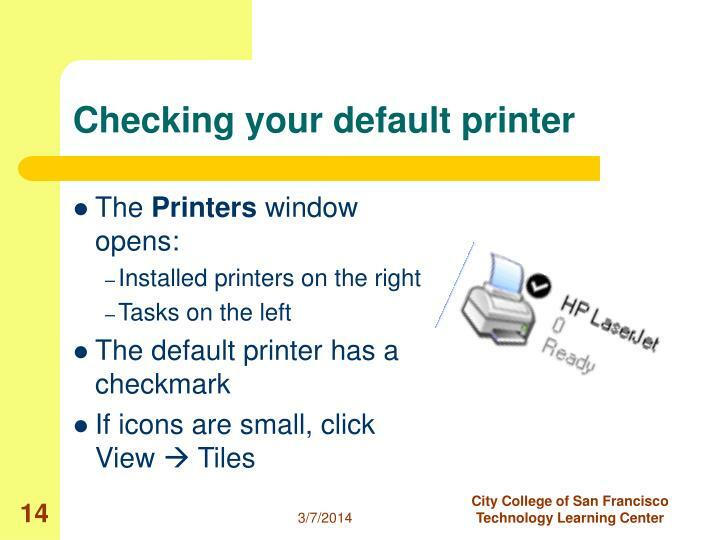 Printers appear at the bottom of the window. 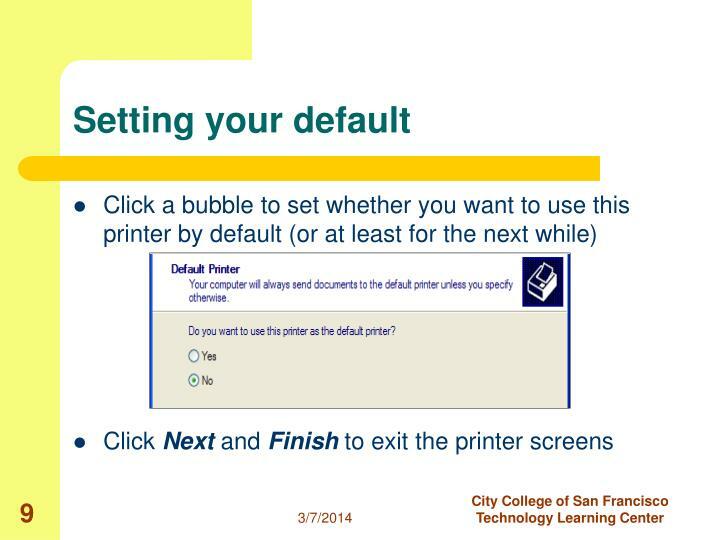 When you do, highlight the printer and click OK. 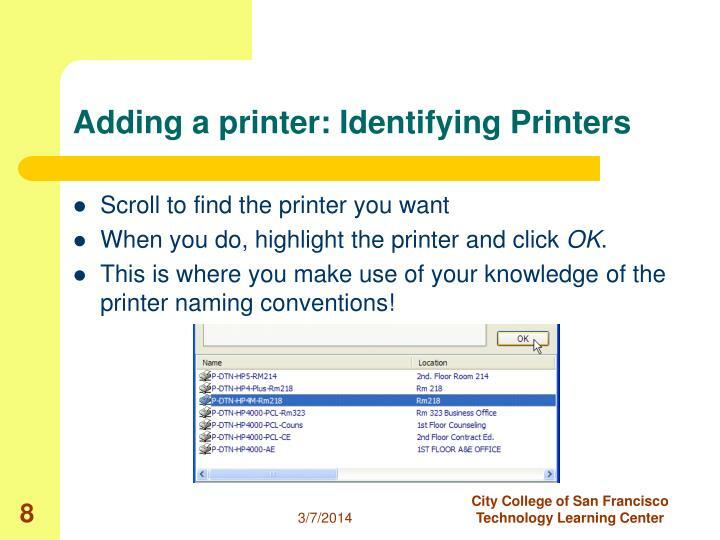 This is where you make use of your knowledge of the printer naming conventions! 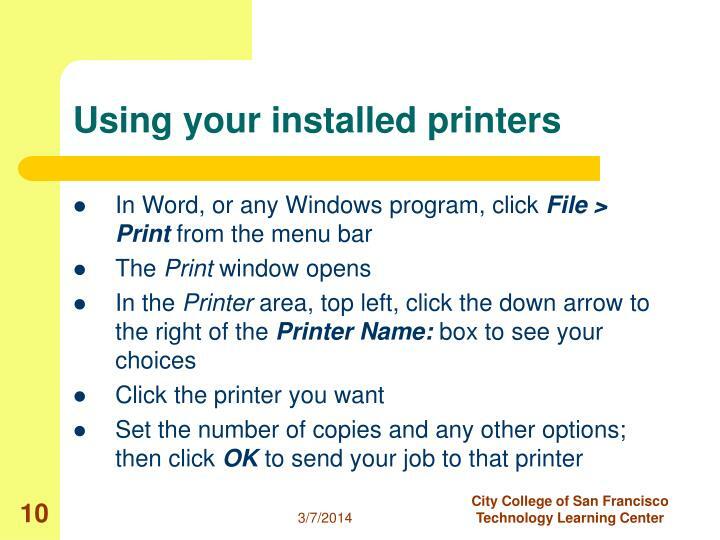 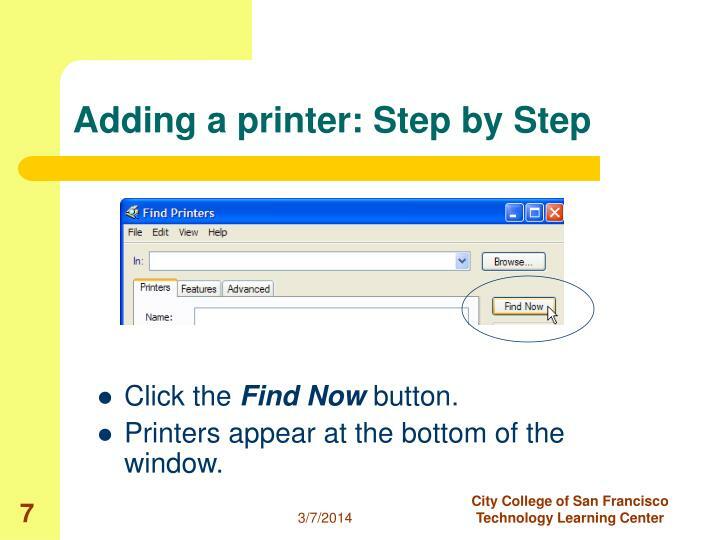 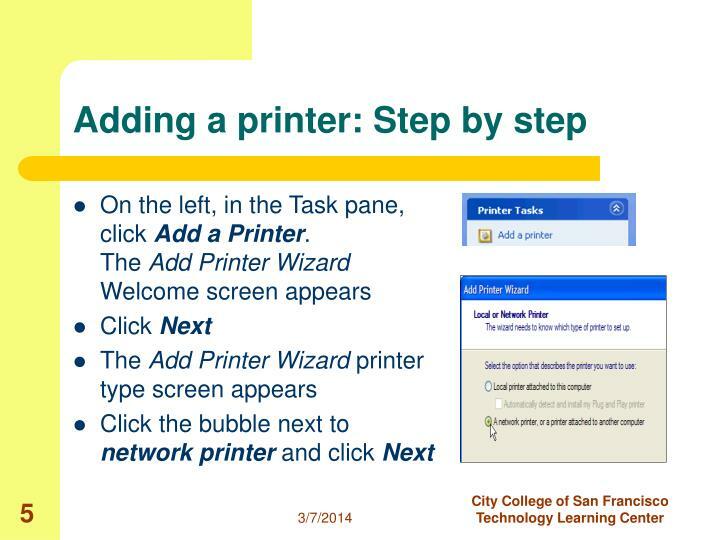 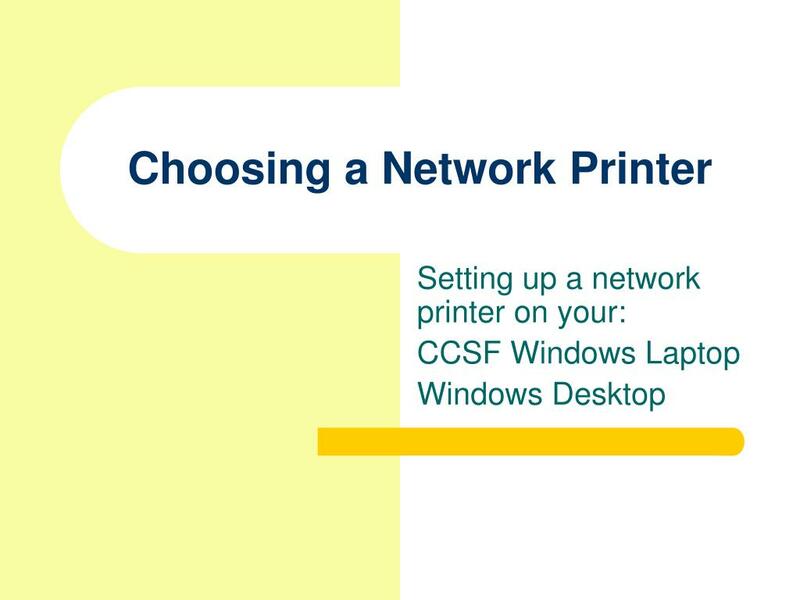 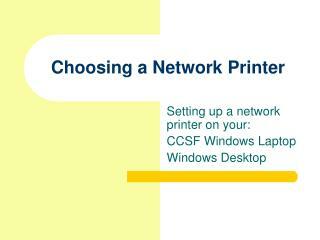 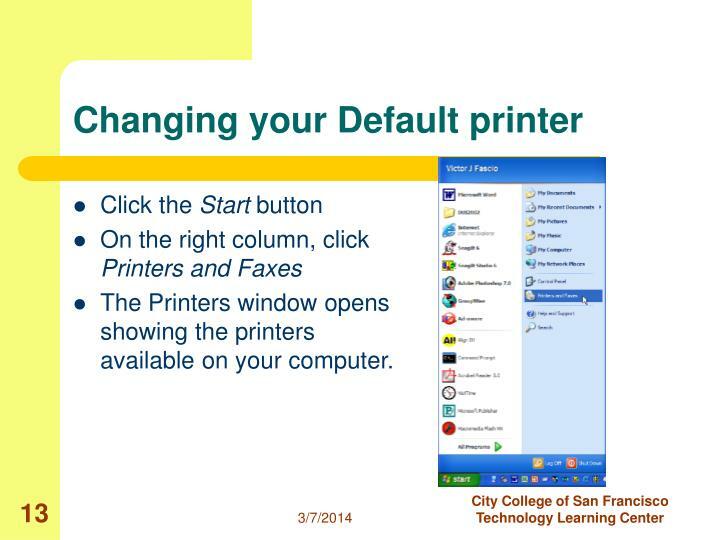 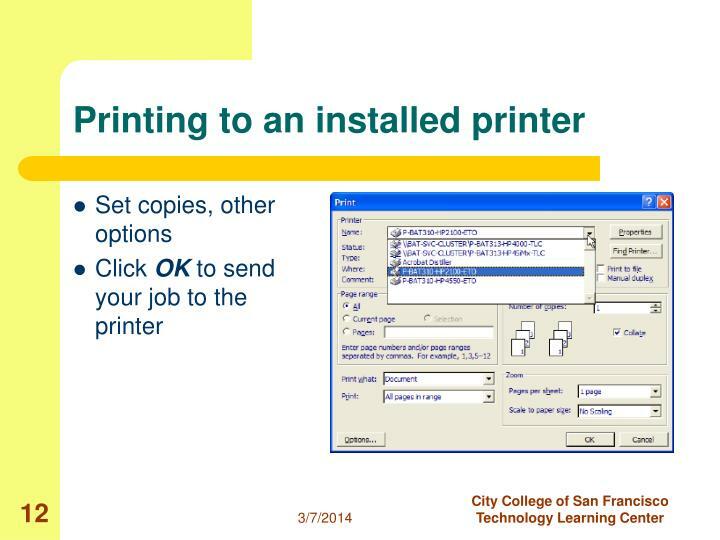 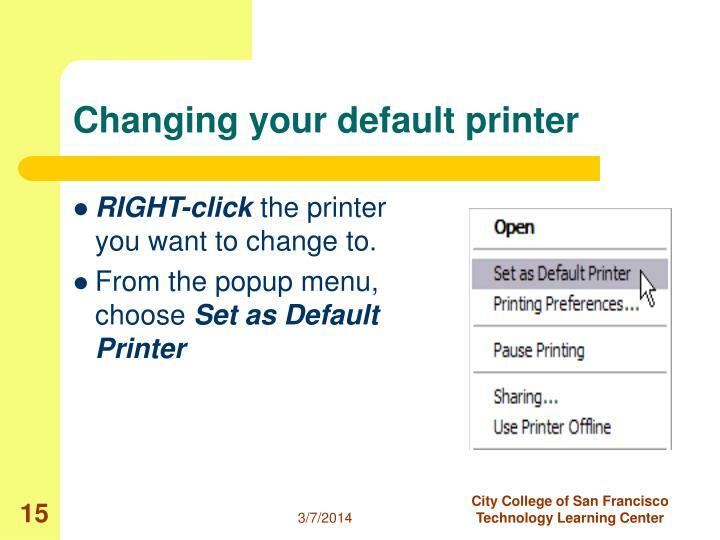 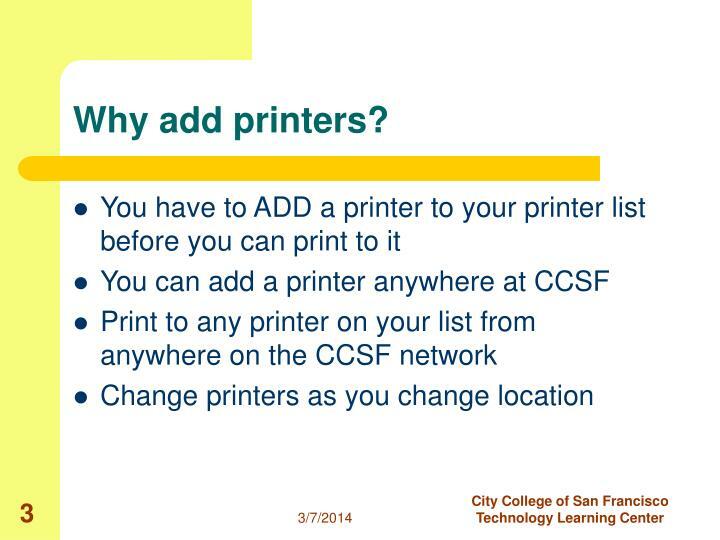 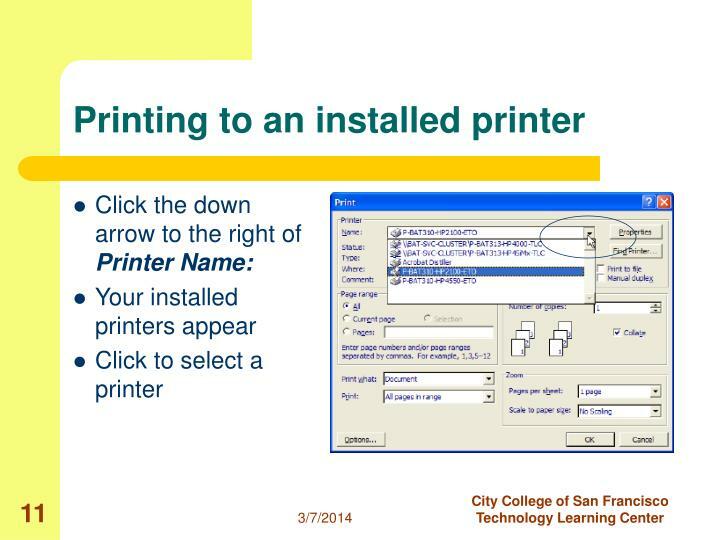 RIGHT-click the printer you want to change to.